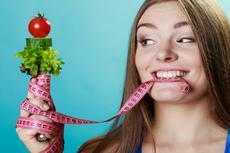 You don’t have to starve if you are trying to lose a few pounds. The healthiest way to do that is to clean up your diet and cut the portions a little bit. But you still need fiber, protein, vitamins so your body can function properly. How are you going to achieve that if you eat less? Even the most disciplined people can forget about rules and principles when hunger settles in and your stomach rumbles. So the trick is to stay full for longer. That means you have to eat foods with high water content, fiber, protein, calcium, and “good” fat. They help slow down the absorption of nutrients, which is why you are not hungry every two hours, and keeps blood sugar levels low. Thankfully, these foods also tend to have fewer calories. Protein activates the hormone ghrelin which makes our brain tell us that we are full. Fiber, on the other hand, triggers hormones that suppress our appetite. Just like different foods taste differently, they have a dissimilar impact on the body – from how hungry we feel to how many calories we burn. People normally feel hungry every four or five hours. Eat that often but focus on what you put your body through. There are many healthy foods that you can separate or combine with other items with more substance but fewer calories to make a delicious meal. Just remember to always drink water about 10-15 minutes before you eat (in case you confused thirst for hunger). Let’s get on thing right out of the way – the potato is not the devil of foods. It actually is a great source of vitamins, potassium, which is important for controlling blood pressure, and other healthy nutrients that keep you full for longer. A study in which people reported the most satiating foods, boiled potatoes ranked highest, even before brown rice. The skin is high on fiber which makes is filling and nutritious as well. Make this meal delicious by adding a few herbs or salsa sauce. Other than because it tastes awesome, lean beef is a great diet choice due to the large amount of protein (nearly half of the recommended daily value), iron and B-vitamins it has. They satisfy your appetite for a long time (in addition to being a great source to build muscle). According to a research, lean beef also helps improve your cholesterol. Contrary to popular belief, unprocessed red meat does not raise the risk of heart disease or diabetes, a study says. Two hardboiled eggs contain about 130 calories and 12 grams of complete protein, which means they have all nine essential amino acids that your body can’t make itself. The Academy of Nutrition and Dietetics says that this collection of amino acids is what suppresses the appetite. A study has found that people who ate eggs for breakfast were feeling less hungry throughout the day, eating about 330 fewer calories overall. If you don’t like boiled eggs that much, scramble them and add some vegetable for extra fiber. Don’t throw out the yolks because they have about half of all of the protein an eggs has.